Welcome and hello! My name is Rachel A. Racicot and I am a paleontologist and biologist. 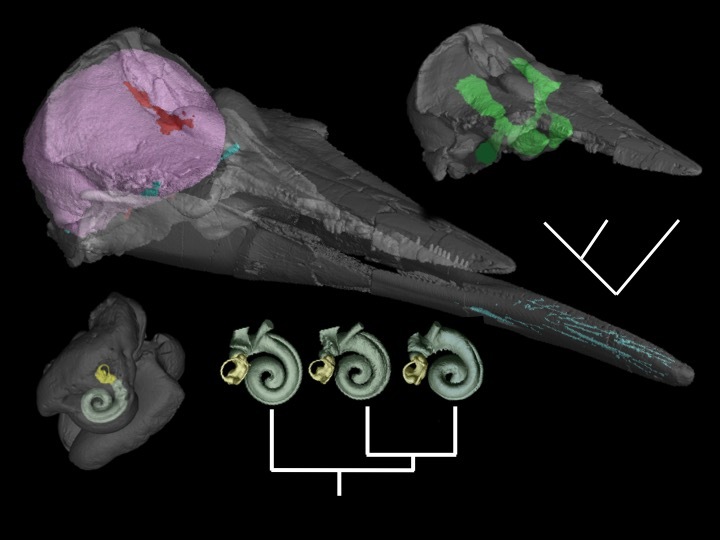 My interdisciplinary research program specializes in using innovative 3D imaging methods to answer broad questions in evolution, morphology, and ecology. Evolution of marine mammal sensory systems is my main research focus, but my research program is wide-ranging and not taxon-specific. The primarily digital nature of my work allows productive collaboration around the world. All photos and graphics by Rachel Racicot unless otherwise noted. Scenic images are from field areas or other places that I like.